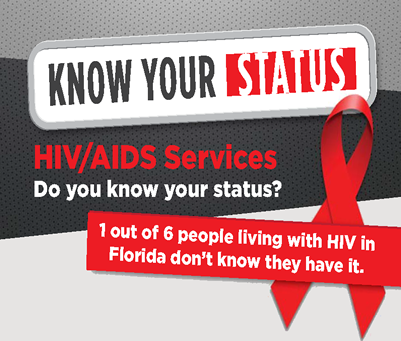 The Florida Department of Health in Volusia County provides confidential, no-cost HIV testing. Rapid testing is available. When needed, standard testing is provided with results given in two weeks. All counselors are certified testers that ensure testing is done safely and confidentially. Trained counselors also provide education and support to people who are at risk of becoming infected with HIV or are already infected. Know your status. Get tested today.